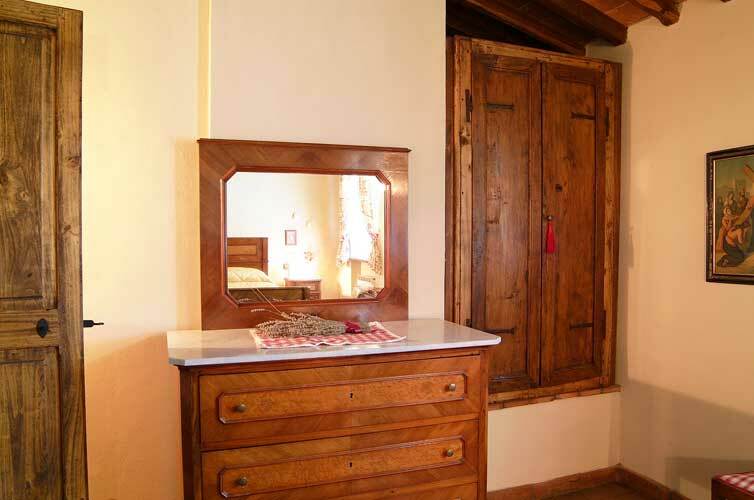 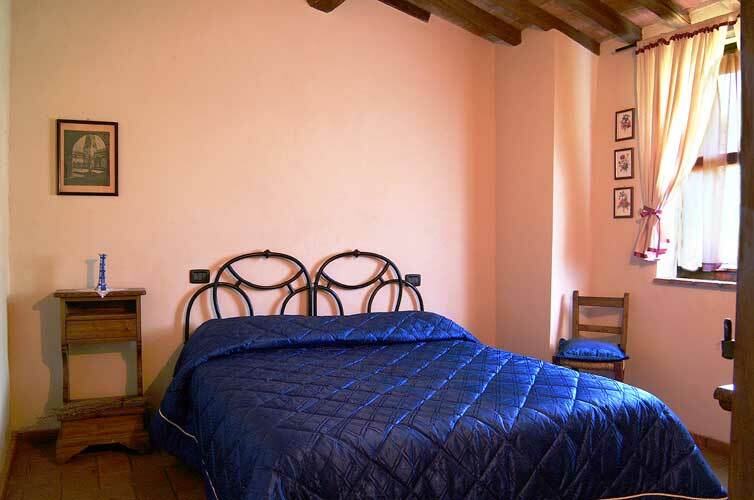 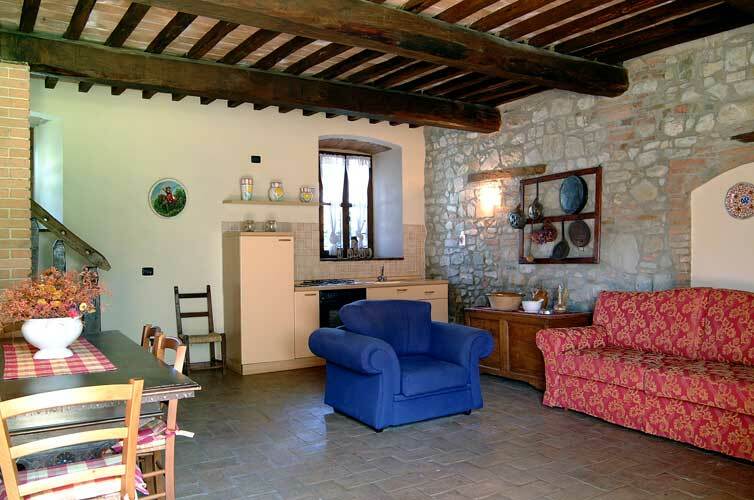 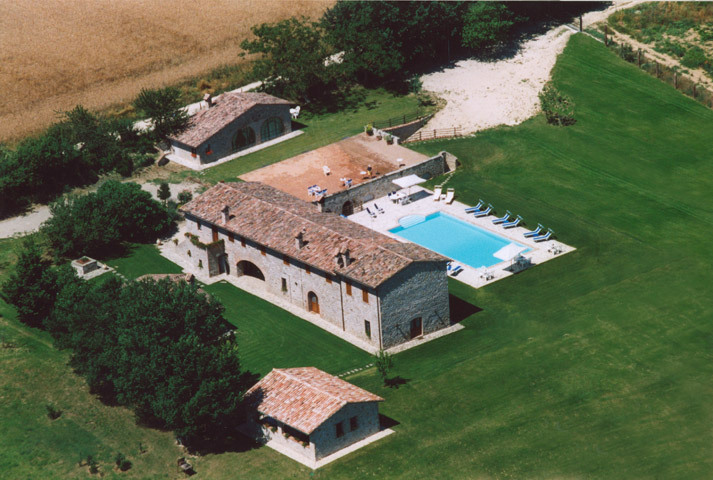 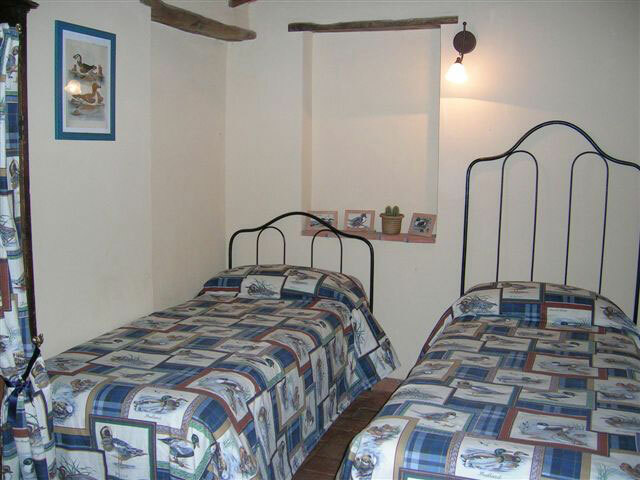 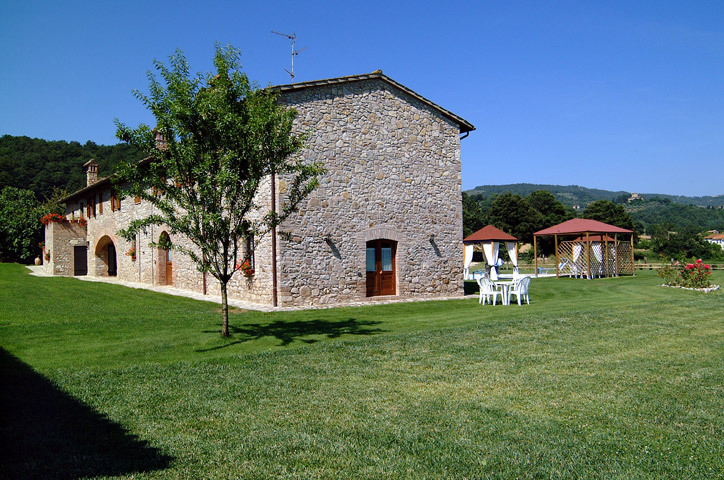 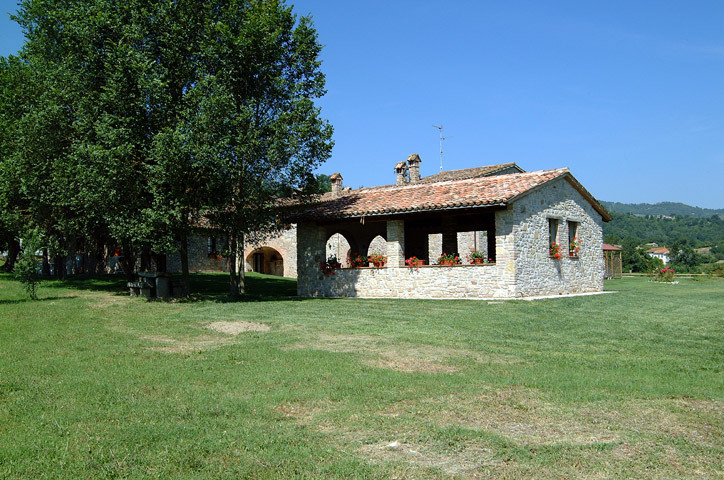 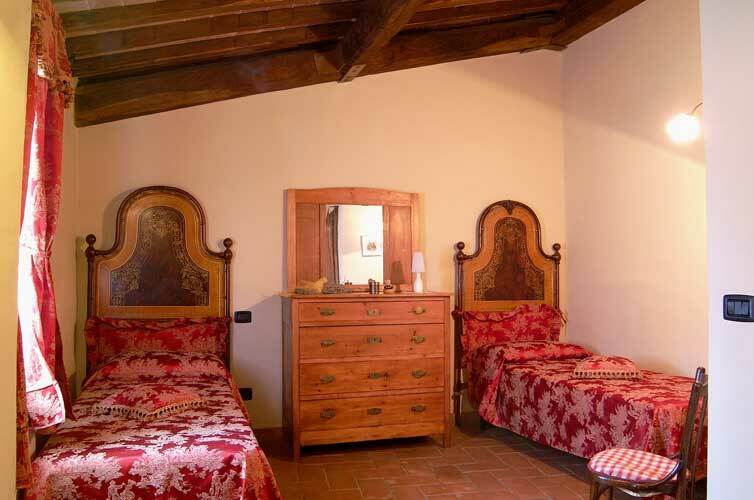 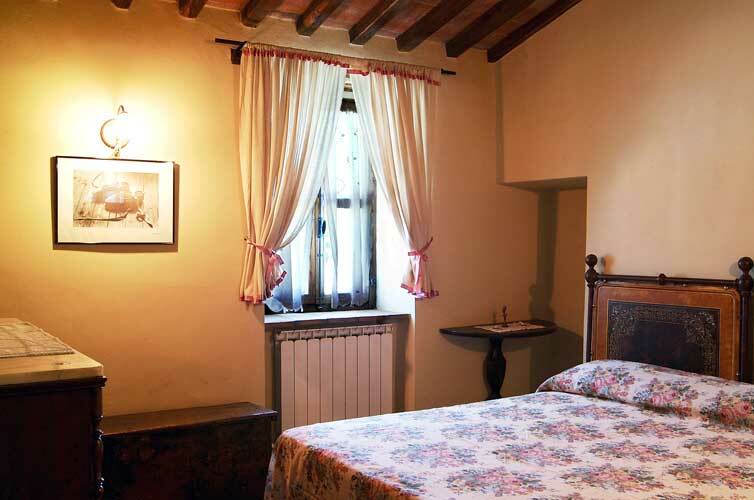 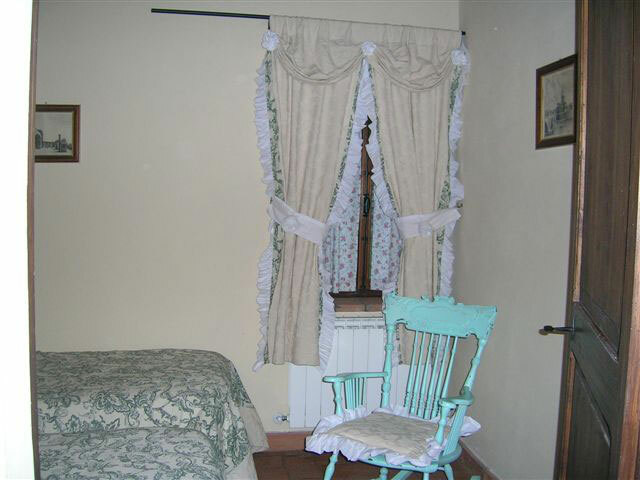 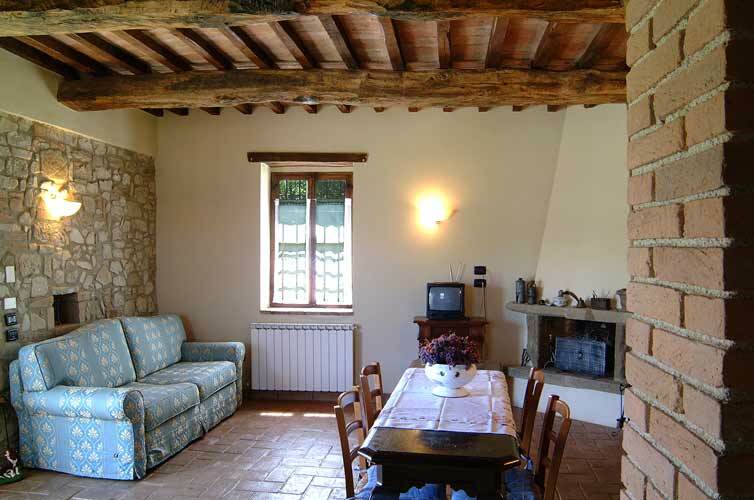 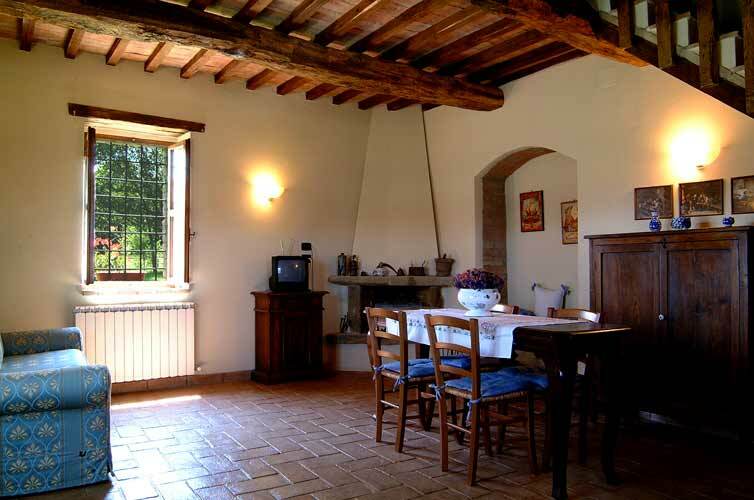 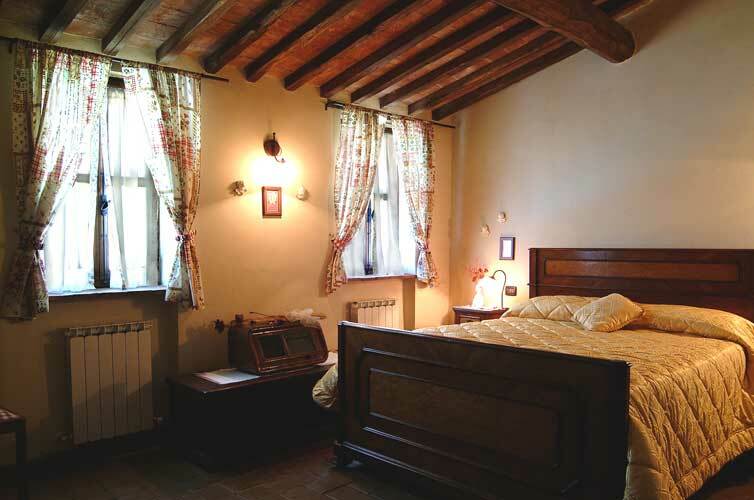 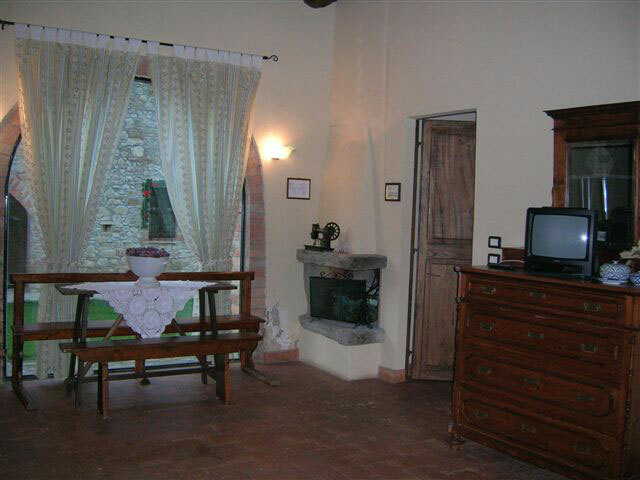 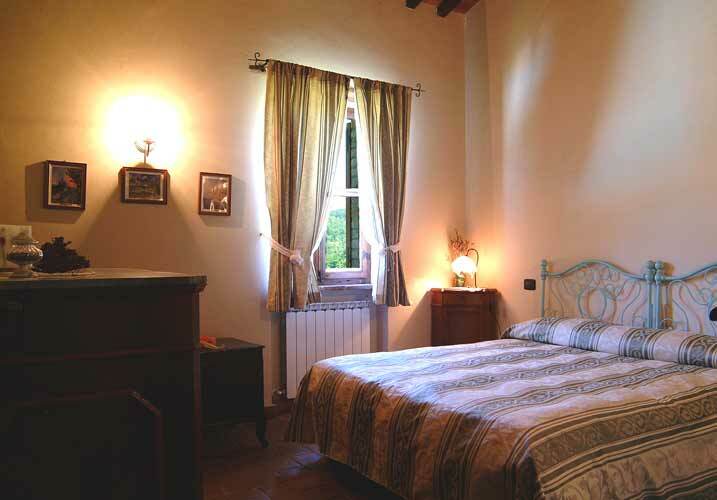 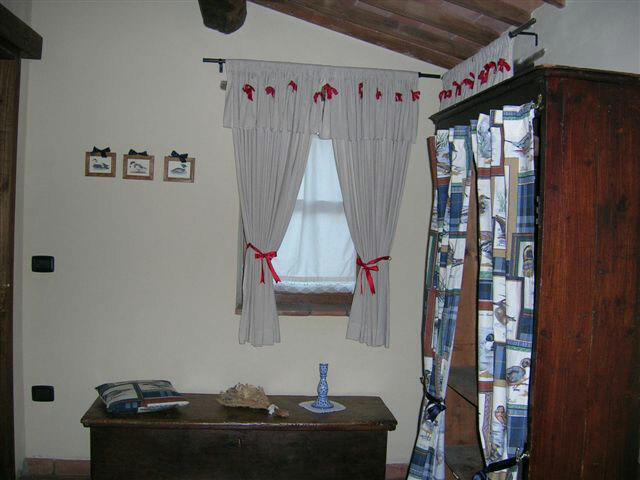 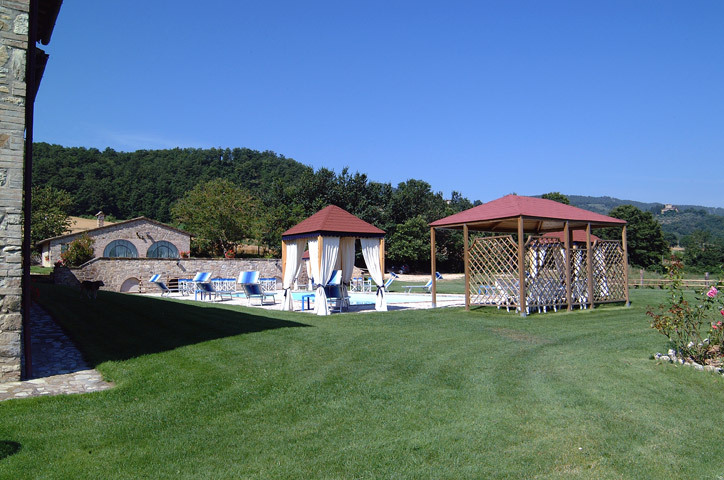 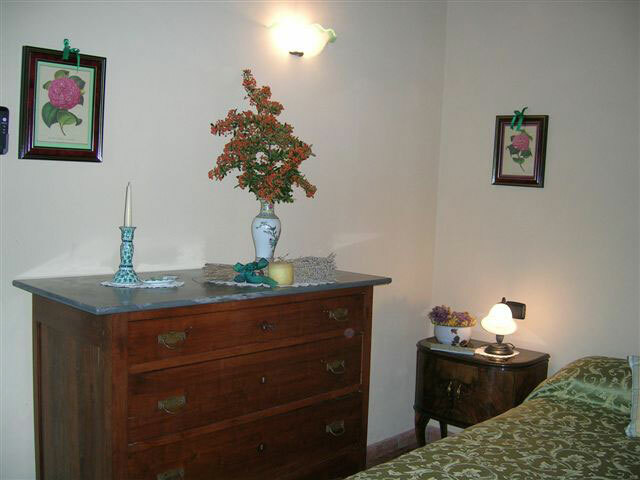 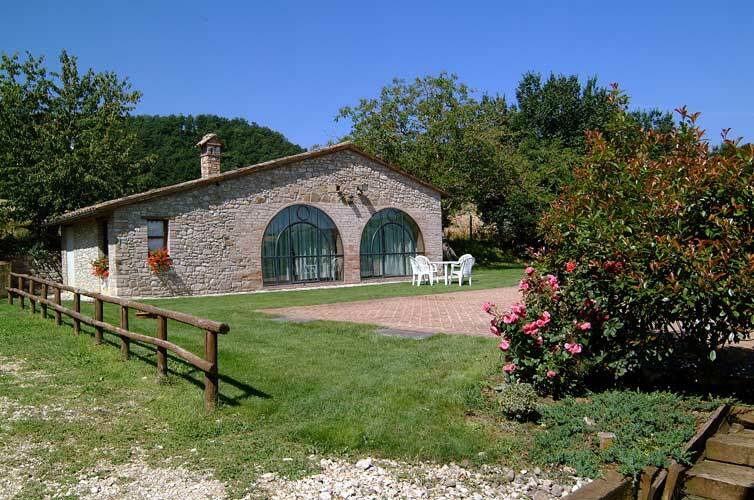 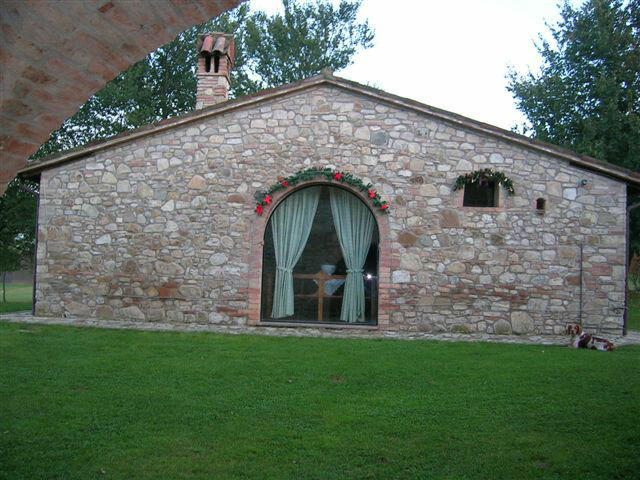 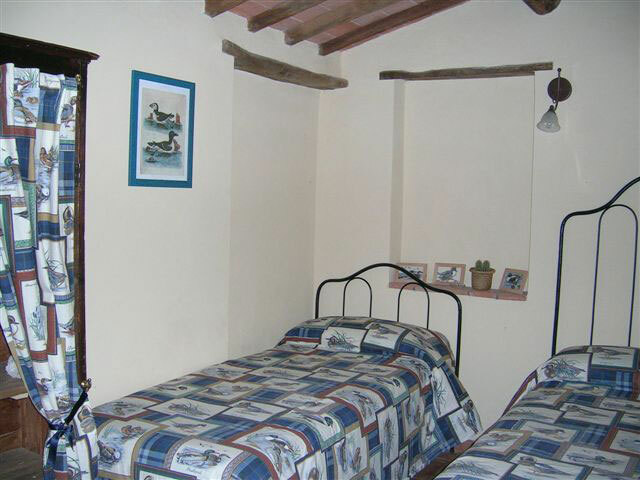 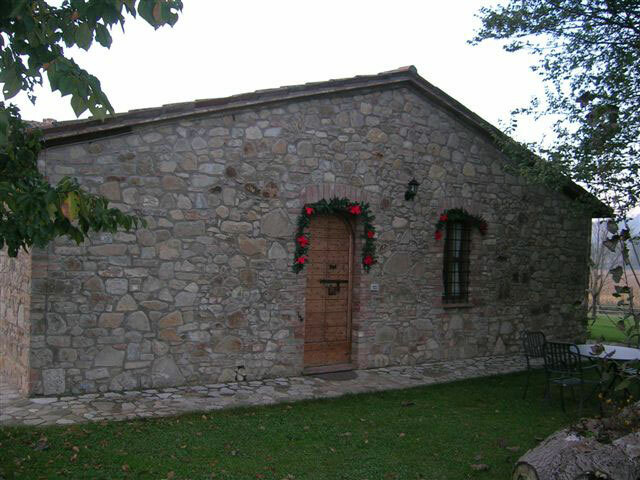 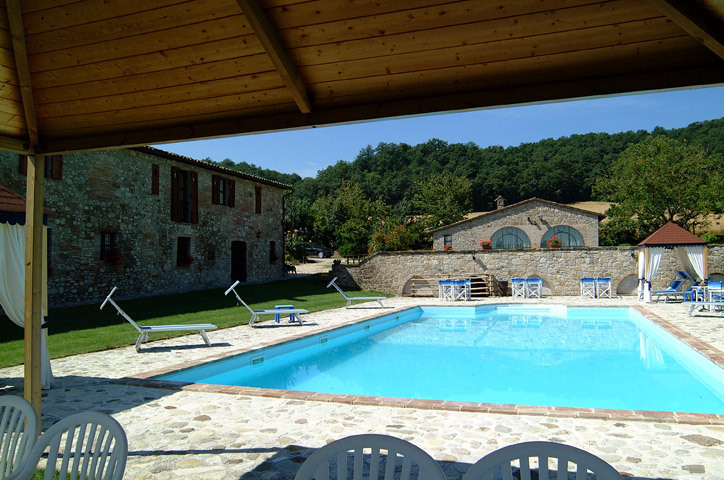 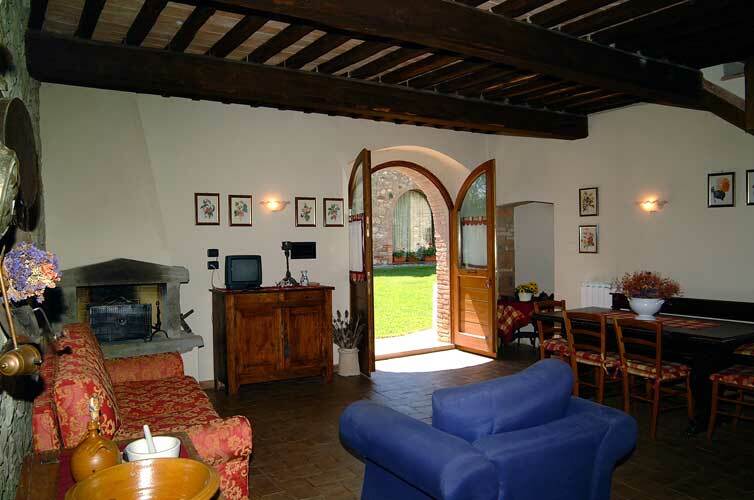 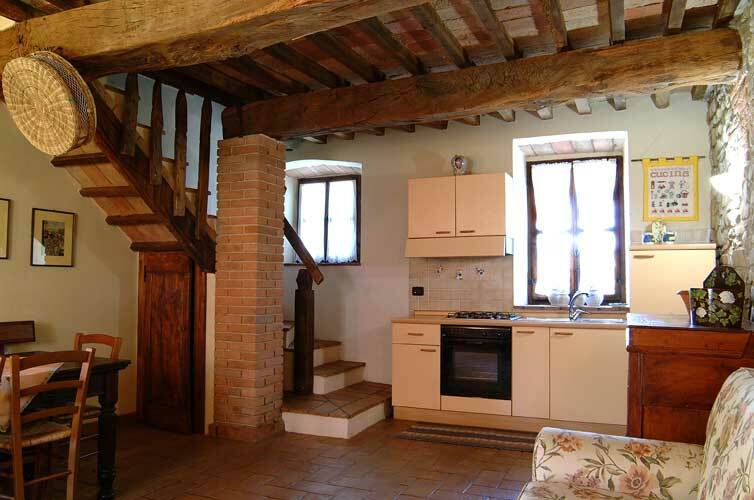 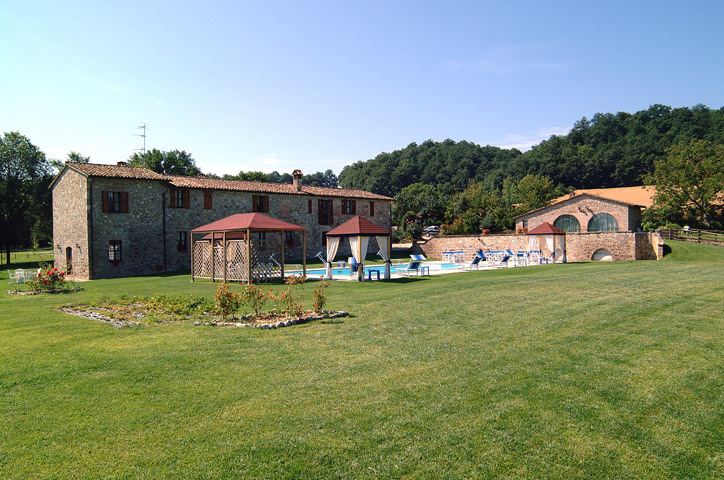 The holiday homes Case Corboli are situated in the Tiber valley at approximately 5 Km from Todi, immersed in the green of the fluvial park with a rich vegetation of woods, fields, vineyards and olive groves. 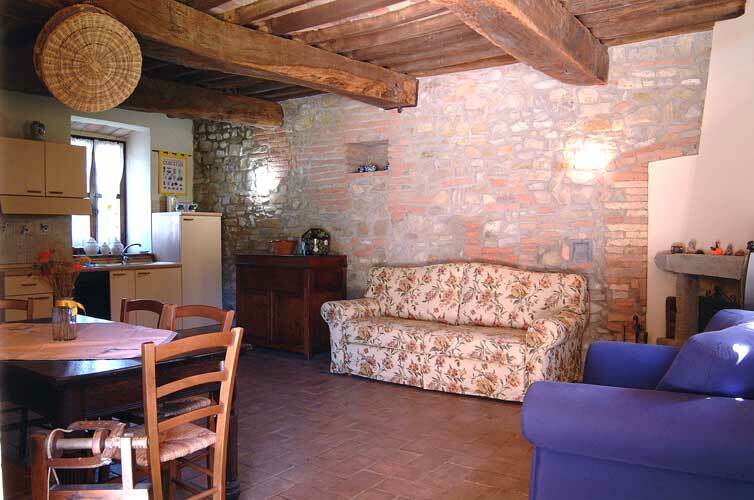 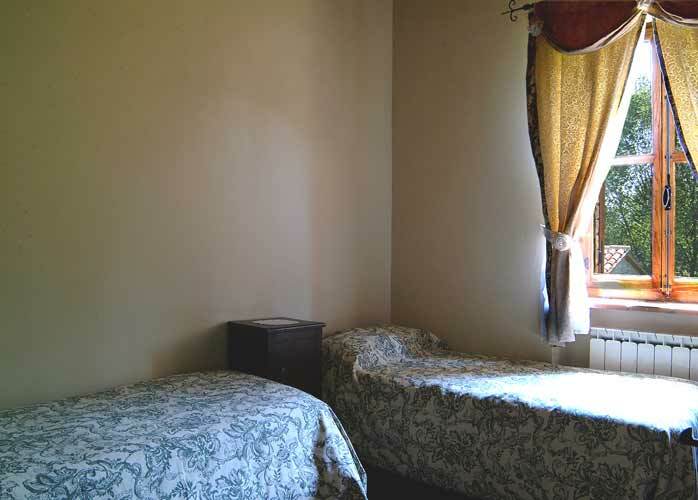 The homes are composed of 4 apartments and 2 indipendent cottages obtained from the recostruction of a farmhouse built in 1800. 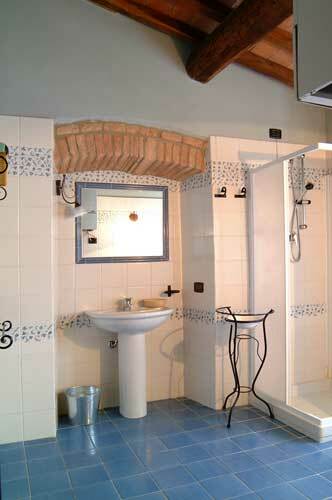 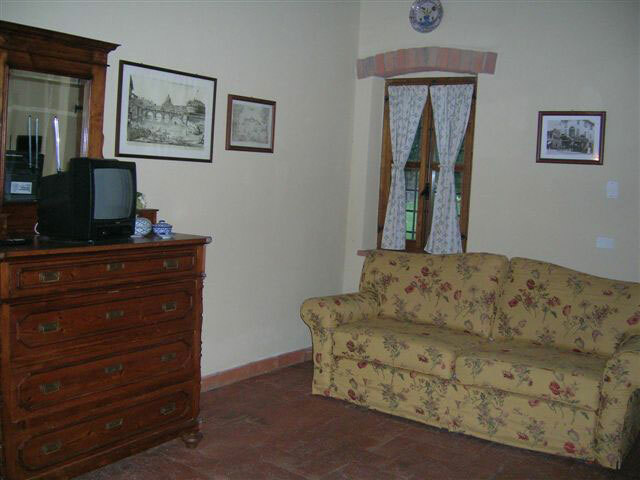 All of them have an independent entrance, a living-room with cooking area two bedrooms with bathroom, TV and independent heating. The restoration has made the most of the original building keeping the oak and chestnut beams and the ceiling and floors of flat tiles and antique furniture.